Many are misled by the unassuming demeanor of Stacey Childs as he humbly approaches the DJ stand with equipment in tow. He sets up quickly – quietly sizing up the crowd. He dons his headphones and begins to search for the perfect track. Soon he’s head nodding and top rocking. If you don’t already know, you may begin to wonder: who is this man and why is he rocking so hard? But once he drops the needle and turns the fader, there is no doubt: the party has begun because DJ FUDGE has arrived! Down-tempo, rare grooves. old school classics, hip hop headbangers, pop. or rock. 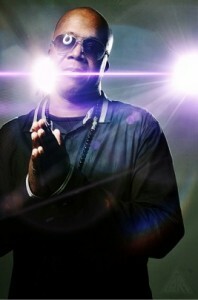 No genre is beyond the realm of DJ FUDGE. You never know where his musical journey will lead, but the crowd eagerly follows. His vast knowledge and sincere love and respect of music has led him to work with a wide range of artists including Joi, Jeru the Damaja, Little Brother, Julie Dexter, Raekwon, Slum Village, Camp Lo, Phife Dawg, Ali Shaheed Muhammed (A Tribe Called Quest), DJ Red Alert, DJ Spindarella, Chuck D, Flavor Flav, DJ Lord (Public Enemy), DJ 9th Wonder, DJ Hi-Tek, & EMC among others. 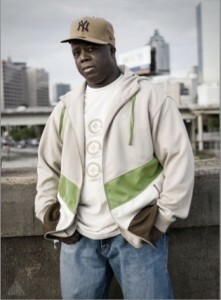 DJ FUDGE is a respected name in the Atlanta music community where he is well known from his affiliation with such popular events as Face Off Fridays, A Vibe Called Fresh, What the Funk? !, Nodfactor2, and Fantastic Fridays. FUDGE is an active member of the 5 Star Generals DJ crew, the Scratch Academy of New York and the international Red Bull Music Academy. 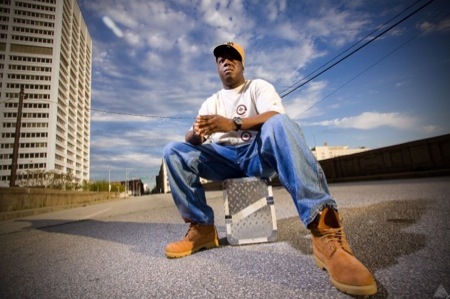 Also a noted turntablist, Fudge’s battle scars include the Kool Mixx DJ Battle (2004 finalist); Guitar Center DJ Battle (2001 finalist); and TasteMaker DJ’s Sound Boxing DJ Battle (2000 champion). 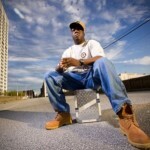 In 2004, he toured internationally through Finland and Estonia on the Defkut Records Funky Club Tour. In 2008, DJ FUDGE toured with the House of Hip Hop Concert Series, performing in various venues across the U.S. More recently he has rocked the stage with Hip Hop group MSEIZE, artists Rock Most and Bambu da Asiatic. Served as road manager for the 2010 Smokin Needles European tour featuring Phife Dawg (A Tribe Called Quest), Chip Fu (Fu Schnickens) and DJ Rasta Root. And in 2012 he continued his international travels by playing a night in Geneva, Switzerland. In addition to his residency at Atlanta’s famous MJQ Concourse, DJ FUDGE appears regularly on the WREKroom Renaissance on WREK 91.1fm, and previously on the Beatz and Lyrics show with Jayforce on WRFG 89.3fm, and Hush Hush on WRAS 88.5fm. FUDGE also produces a series of mixtapes which include: “Full Metal Joints”, an independent Hip Hop mixtape and “Hush Hush”, an instrumental mixtape series. In 2014, DJ FUDGE will continue to realease other mixtapes and projects to further his vast catalogue, and he is taking the “Full Metal Joints” brand to new heights by incorporating online television! Prepare to dance. Prepare to sweat. Partying is not an option. With DJ FUDGE on the tables, the party won’t stop until the lights come on or someone pulls the plug.